Steamboat Springs Colorado resorts will satisfy winter, summer and year round visitors. Discover Steamboat CO lodging opportunities in town, at the base of ski resorts, on a golf course, with access to a pristine river, and off the beaten path with close proximity to nearby national parks. Look no further to find your ideal Steamboat Springs Colorado Resort. 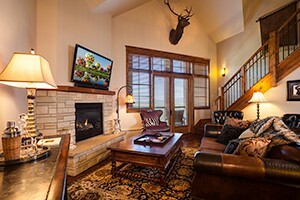 At the base of Steamboat Ski area, we feature 6 unique lodges with unique 1-to-5 bedroom residences. Each can access tennis courts, pools, hot tubs, fitness & business center. 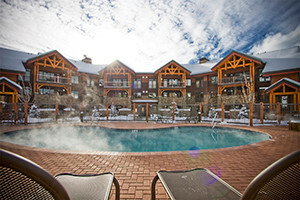 Select from 2-4 bdrm suites located just across the street from the Gondola. Amenities feature year-round pool & hot tub, spa treatments, game room, ski lockers & concierge. Featuring quaint log cabin accommodations. Everything you need or want is on-site: horses, boats, canoes, general store, laundry facilities, bath house, restaurant & full bar. Connect with travelers planning a visit to Steamboat Lodging.